The efficiency of alpha-beta search algorithms heavily depends on the order in which the moves are examined. This paper investigates a new move-ordering heuristic in chess, namely the Neural MoveMap (NMM) heuristic. The heuristic uses a neural network to estimate the likelihood of a move being the best in a certain position. The moves considered more likely to be the best are examined first. We develop an enhanced approach to apply the NMM heuristic during the search, by using a weighted combination of the neural-network scores and the history-heuristic scores. 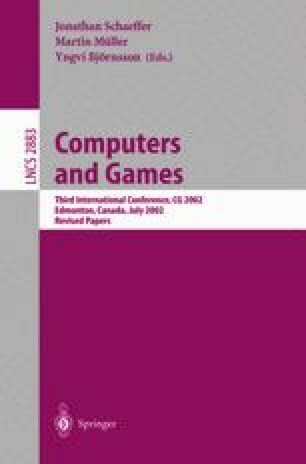 Moreover, we analyse the influence of existing game databases and opening theory on the design of the training patterns. The NMM heuristic is tested for middle-game chess positions by the program Crafty. The experimental results indicate that the NMM heuristic outperforms the existing move ordering, especially when a weighted-combination approach is chosen.